Thank you for taking an interest in our porfolio of artists. We are proud to feature the beautiful artwork of these well known and aspiring artists. Born in New Zealand surrounded by lush-green rolling hills and pounding waves of the ocean, Ian Greathead was inspired from an early age to create art. Yet, there was a world to explore first – the first stop being London, where he was enraptured by the urban setting and vibrancy of the commercial art world. The lure of adventure and exploration next took Ian and his future wife throughout Europe taking in the sights and sounds of countries from Scandinavia in the north to Greece and Spain in the south. After thousands of miles and a passport full of border crossing stamps, Ian headed for the United States eventually settling in Atlanta, Georgia. There, Ian’s proficient talent was in demand by clients such as Delta Air Lines, Budweiser, Siemens Energy and Automation and IBM. In fact, Ian was commissioned to illustrate the cover of Coca Cola’s hundred-year anthology. However, the increasing pull of fine art found Ian reaching more and more for his paintbrush and oils. He turned to the love affair he'd always had with American classic cars from the 50’s. With an abundance of chrome and stylish fins, they provided a wealth of material and endless possibilities for a series of retro images. Jerianne began her road to success as an artist in advertising agencies and as a button designer. Her creativity soon came to the fore and she realized her joy in creating art- be it fine art, whimsical or illustration. Her favorite mediums include watercolor, gouche, ink, pastels and oil. She resides in California with her husband and children and hamster. 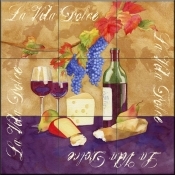 Surround by vineyards, she creates a great deal of art related to wine and wineries. Jim Hansel was born in Chaska, Minnesota in 1960. He began painting at the age of 15. He developed his artistic skills while attending the University of Minnesota, where he graduated with a Bachelor of Fine Arts degree in Commercial Art, in 1985. In 1989, Hansel was a featured artist in the Courage Card Collection. He was also a semi-finalist for the Minnesota Deer Hunters Association print competition, a finalist in the 1990 Minnesota Pheasant Habitat competition, and a finalist in the Colorado Duck Stamp competition. Jim Hansel's great passion is in wildlife and the outdoors. His focus is on combining wildlife subjects with interesting and colorful landscapes and his greatest talent is recognizing the unique characteristics of nature and describing it in paint. When not putting brush to canvas, Jim can be found with his family, fishing, hunting, or just enjoying the panoramic view. He's a sportsman at heart and enjoys all outdoor activities. Working in oil, Hansel paints six days a week in his home studio in Chaska, Minnesota. In just five short years, he has sold out 18 of his 30 limited edition prints. In 1992, Jim Hansel was commissioned by Minnesota Ducks Unlimited to produce their Minnesota Print of the Year, "Autumn Ringnecks." In the same year, he also produced the Minnesota Deer Hunters Association sponsor print, "River Bottom Buck." James J. Himsworth III grew up among a large family in rural Pennsylvania. Inspired by the fine art and antiques that furnished our 200-year-old farmhouse, he began to draw and paint prodigiously. Encouragement from family and teachers prompted James to pursue art as a career. After graduating with honors and awards from Philadelphia College of Art in 1986, he embarked on a decade long freelance illustration/portrait painting career. Since 1995, James has worked for Dimensions creating designs for needlecraft, paint-by-number, and other various crafts. "There is a special joy of wildflowers that is shared by people around the world; and there is a kinship among flower enthusiasts that is hard to explain. The first bloom of spring and the beauty of the world around us. Walking in the woods and finding these ephemeral flowers is like meeting an old dear friend. The delicate and faithful paintings of Joan Heflin Rankin capture these spontaneous feelings of happiness, wonder and kinship." Quote from Jacqueline Broughton, Cheekwood Botanical Gardens and Museum of Art, Nashville, Tennessee. Joan lives in North Alabama with her husband Tom, surrounded by lovely mountains and God's gifts of nature. 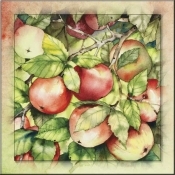 She exhibits original watercolors and limited edition prints in juried and invitational shows in the Eastern United States. Her work can also be viewed in galleries and in private and corporate collections throughout the U.S. and abroad. Although Joan paints a variety of subjects, she is best known for her botanical studies of native wildflowers. "Through my work, I seek to celebrate the joy I feel observing the beauty of God's creation and to share my sense of reverence and wonder with the viewing public." Linda Lord, a native of the Georgia-Tennessee area, now resides along the Monterey Bay coastline, in California. There in the moderate climate, she enjoys gardening, bird watching, scuba diving and her menagerie of pets, which include 8 birds, 3 cats and two frogs. A self-taught artist, she prefers watercolor as a medium for its transparency and light. Her subjects tend to reflect her interest in nature. Her style is realistic, leaving room for artistic license. She feels that nature has a humorous way of putting shapes and colors together reminding us that everything doesn't have to match. A philosophy that she imparts to her forty or so weekly students. Linda participates in outdoor art fairs, local exhibitions, Santa Cruz Open Studios, as well as one-person shows including an annual solo show in Cozumel, Mexico. Her images have been licensed for various commercial products. Lori Schory was raised in an artistic household where she was encouraged to pursue creative endeavors. She earned a Masters of Fine Arts from Northern Illinois University in 1981. She became interested in the artistic side of hand lettering and soon developed the skills to combine this interest with her Fine Arts background. Lori combines her artistic talents with a great sense of humor and inventiveness. 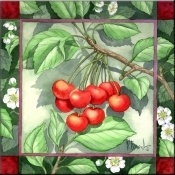 Her images have been licensed for puzzles, stationary, art prints, music boxes, switch plates, checks, rugs, and more! 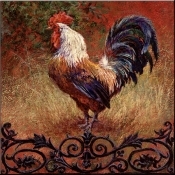 Lynne Pittard has successfully built a reputation as an artist who paints with passion and versatility. Once she began her first strokes to a canvas in 1980, she amazed everyone with paintings that expressed beauty, life and feeling. Best known for her TV series “Painting With Pittard”, Lynne concentrated her energies on creating over 130 television painting shows that aired nationwide on PBS for over 16 years. Lynne has a new series on TV beginning this Fall. She also traveled and taught workshops in over thirty states and authored eight instructional books on painting. Her ability to express and share with others made her an instructor of National Television acclaim. She continues to teach workshops, but has focused her artistic ability on creating a series of exceptional new works including her underwater series, large floral expressions and capturing the beauty of Palm Beach's unique architectural interest. Her versatile style favors realistic impressionism. She acknowledges that her passion for painting is second only to her faith in God, striving to capture the beauty of His world in order to touch the hearts of those who view her paintings. Mary Erickson grew up sketching the beaches of Long Island Sound in Connecticut. She sold her first painting when she was only 13 years old. A move to Florida in 1993 caused Mary to experience her dream, and she began to paint professionally. Mary prefers to paint outdoors, even on the site of her subjects. Her works are lovely and reflect the natural places that she explores, be they exotic locales, or Marshville, North Carolina or Venice, Florida. Michael Jackson was born in Preston, Lancashire and has been interested in both art and nature from an early age. He spent most of his youth drawing, painting and bird watching. By the time he was seventeen he had a wide knowledge of European Bird, Mammal, and Plant Life. He enrolled on a course of Natural History and Scientific Illustration at Blackpool College of Art. During his four year course he was awarded the Rotary Award: “Student of the Year” and later passed his Advanced Diploma with a distinction. After leaving college Michael worked freelance as an Advertising and Publishing Illustrator specializing in Wildlife. However, spare time was often devoted to going on field trips to study birds and mammals in their natural habitat. In recent years he has traveled extensively in pursuit of both reference and furthering his knowledge as a naturalist, having visited many wildlife sanctuaries in such places as Nepal, India, Borneo, Africa, Thailand and America. During these trips he spends a great deal of time meticulously sketching and photographing the many varied subjects that he encounters and hours are then spent in planning and composing each painting. Mike has been painting Wildlife for more than 12 years now; and his highly developed painting technique combined with a thorough knowledge of the natural sciences enables him to create pictures that are not technically accurate but also very much alive. As a young boy, living in upstate New York, Paul Blakey spent countless hours around the woods and fields of his parents farm learning to love the quiet places. His pastels and oils reflect the passion of that early experience. Born in upstate New York, Paul studied art in Pittsburgh Pennsylvania at the Art Institute of Pittsburgh. He received instruction in commercial illustration, graphic design, painting and drawing. His painting instructor, Vincent Nesbert, a master, taught him the theories of color and composition. Paul worked many years as a commercial artist and illustrator achieving success and numerous awards. His illustrations have been used by corporations and publishers, not only in this country, but also other areas of the world. His scores of clients, over the years, include, Welche’s, Celestial Seasonings, Simon and Schuster, Readers Digest and most large advertising agencies across the nation. Paul’s drawings and paintings have been shown throughout the Southeast in shows such as Davidson College Drawing and Paint Competition and the High Museum of Art in Atlanta. His work has been represented in regional show over the years, and he has claimed a number of awards. His paintings are now on display in various galleries in the Southeast. Paul’s love of painting, which he continued to pursue during his commercial years, finally became dominant in his life. Paul Fenwick grew up hiking the woods and wading rivers and streams near his home in rural New Jersey. As a boy he spent nearly every day of the summer fishing, and most weekends and family vacations were spent at lakeside campsites or along riverbanks of national forests, parks, and scenic campgrounds. The exhilaration and benefits of being surrounded by nature and its wildlife were instilled in Paul at a very young age. Upon completion of art school in 1987, Paul embarked on a successful, award - winning career as a freelance commercial illustrator working for major companies, corporations, and professional race teams doing technical illustrations and automotive art. Although lucrative, he felt there was no room for freedom of expression or creativity due to stringent specifications. In 1997 Paul was asked by a T-shirt printing company to do a series of wildlife paintings. Always wanting to paint wildlife but never having the client base for it, Paul jumped at the chance, and one of his first paintings won Impressions magazine's 1997 "Impressions Awards" contest for outstanding artwork. That same year Paul entered and won the NJ Trout Stamp Competition. The fulfillment of painting subjects so significant to his way of life, inspired Paul to start painting wildlife exclusively, knowing he could combine his love for the outdoors with his passion for art. Being an avid sportsman has proven to be an invaluable contribution to his work, giving him an intimate understanding, appreciation, and respect for the fish and animals he paints. It's afforded him a bounty of ideas and inspiration, as well as opportunities to acquire first hand knowledge of his subjects and their habitats. Paul enjoys doing paintings of fish, especially under water; it’s the "unseen view" that most people don't get to experience, not even fishermen themselves. Paul’s dedication to accuracy and detail in his images of fish and wildlife has earned him accolades and accomplishments including honorable mentions and numerous top finishes in many state stamp competitions. Paul won New Jersey’s 1998 Trout Stamp Contest, and placed 3rd in South Carolina’s 1999 Saltwater Fisheries Contest. He won Indiana’s 2000 Trout Stamp Contest and placed 2nd in the 2001 Indiana Trout Stamp Contest, both of his paintings were chosen to appear in the 2000 and 2001 “Hoosier Outdoor Calendar”. Paul has been a finalist in the prestigious Wyoming Conservation Stamp competition, as well as the Pennsylvania Trout Stamp Competition numerous times, he finished 3rd in 2003, the contest has since been discontinued. Paul's artwork has been seen on the pages of The New Jersey Angler, Sporting Classics, Mid-Atlantic Sportsman, Wildlife Art, Pennsylvania Angler & Boater, Fly Fishing in Saltwaters, Art of Angling Journal, Making Waves and Impressions magazines. Wildlife Art magazine named Paul as one of “15 Fish and Marine Artists You Should Know”. His work has been featured several times on the cover of The New Jersey Angler magazine, and his donated artwork has been used to raise funds for the Recreational Fishing Alliance (RFA), Trout Unlimited, The Coastal Conservation Association, The Wetlands Institute, Stone Harbor, as well as other non-profit wildlife organizations. Paul’s limited edition prints and giclées have been well received by sportsman and collectors alike, images of his artwork have been licensed internationally, and his original paintings hang in private collections across the US and Canada. Shannon Grissom, a San Jose native, originally expressed her creative self through music. Moved to combine her musical affinity with her passion for color, she began oil painting in 1992. Inspired and driven, she rose early each day to paint. These painting sessions were completed before the start of her workday. This demanding schedule was worth the effort. By 1999, she was able to leave her day job to become a professional artist. Today, Shannon is an award-winning artist. She has won awards for both her painting and her television series, "Give Your Walls Some Soul". Additionally, She is a nominee for the first ever academy awards for visual artists. The ARTV Awards Show is the first nationally-televised event which spotlights artists in America for achievement and excellence. The red-carpet awards program took place in Las Vegas on October 28, 2005 at the MGM Grand. Her first children’s book, Monkey Made of Sockies, was published in the fall of 2005. The book was inspired by the whimsical paintings Shannon created of her mother’s sock monkey.